The Hussites were a pre-Protestant Christian movement centered on the teachings of Czech martyr Jan Hus (c. 1369–1415), who had been burned at the stake on July 6, 1415, at the Council of Constance. Outraged by Hus' death, the Hussites became a powerful force in Moravia, Bohemia, and parts of Poland, with many Czech nobles as well as the general populace joining the movement. They rebelled against the Catholic hierarchy, appointed their own priests, developed a Czech liturgy, and rejected some traditional teachings regarding the sacraments. The more radical Hussites were known as Taborists, while the moderates were called Utraquists. After the death of King Wenceslaus of Bohemia, who had allowed the movement to flourish, the Hussites fought a series of wars (1420-1434) for their cause, which was strengthened by Czech national awareness and social issues, as well as religious sentiment. They successfully resisted a crusade led by Wenceslaus' brother and heir Sigismund with the support of Pope Martin V but eventually agreed to terms granting only moderate reforms. Most of the Utraquists gradually acquiesced to royal power and many of them were eventually forced to reconcile with the Catholic Church, while the Taborites and some of the Utraquists formed independent sects. During the Protestant Reformation, many remaining Hussites adopted the Confessio Bohemica, which united the Lutherans, Reformed, and Hussite Bohemian Brethren. Among present-day Christians, Hussite traditions are represented in denominations which call themselves Moravian or Unity of the Brethren churches, and in the more recently founded Czechoslovak Hussite Church. John Hus had been a respected scholar and popular preacher in Czech territory but had gotten caught up in the politics of the Western Schism, when three popes vied for control of the Catholic faithful. He was also a supporter of church reform and an opponent of the selling of papal indulgences, and his enemies accused him of supporting the views of John Wyclif, which had been declared as heresy. The arrest of Hus, in 1414, caused considerable resentment in Czech lands. However the politics of the time left him vulnerable, and he was eventually condemned for heresy at the Council of Constance and burned at the stake on July 6, 1415. When news of his death arrived in Prague and its environs, disturbances broke out, directed primarily against the clergy and monks. Even the archbishop of Prague narrowly escaped the effects of this popular anger. The treatment of Hus was felt to be a disgrace inflicted upon the whole country, and his death was seen as a criminal act, inflaming a sense of Czech national consciousness as well as both moral and religious outrage. Supporters of Hus became a potent force and even King Wenceslaus of Bohemia—prompted in part by past conflicts with his half-brother Sigismund, then king of Hungary—expressed public indignation at the course of events in Constance. , Wenceslaus' wife openly favored the friends of Hus, and avowed Hussites served in leading positions of the Bohemian government. The Hussites soon openly broke with Rome, developing a Czech liturgy and allowing the laity to administer the Eucharist. Sigismund, Wenceslaus' half-brother, then king of Hungary, and later his successor. The Hussites spread strongly under Wenceslaus' protection, and a league was soon formed by Czech noblemen who pledged themselves to protect the free preaching of the Gospel without interference from Catholic authorities in all their possessions and estates. They determined to obey the authority of the bishops only when their teaching accorded with the injunctions of the Bible, with the University of Prague established as arbiter of any disputed points. The entire Hussite nobility joined the league, as well as some of their supporters. If the king had joined, its resolutions would have received the sanction of the law. Wenceslaus, however, wavered. Pope Martin V, who, as Cardinal Otto of Colonna, had been a bitter opponent of Hus, energetically resumed the battle against Hus' teaching. For this purpose, the co-operation of Wenceslaus had to be obtained, and Sigismund became the pope's agent in this cause. 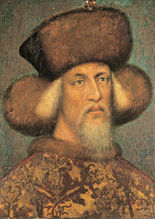 In 1418, Sigismund succeeded in winning his brother over to the standpoint of the Council of Constance by pointing out the inevitability of a religious war if the "heretics" in Bohemia found further protection. Hussite government and army leaders were forced to leave the country, and the authority of the priests alone to offer the sacraments was reinstated. These measures, however, caused a general commotion which may have hastened the death of King Wenceslaus by a paralytic stroke (some say heart attack) in 1419. His heir was Sigismund. Although the radical and moderate Hussites were divided on matters of church policy and their degree of opposition to Catholic rule, they united during the Hussite wars. While Wenceslaus still reigned during the years 1415-1419, the Bohemian Hussites formed two main parties. The moderate party sought to carry reforms while leaving the Catholic hierarchy and liturgical order untouched. The more radical party identified itself more with the doctrines of John Wyclif, sharing his hatred of the monastic clergy and his desire to return the Church to its supposed condition during the time of the apostles. This required the removal of the existing hierarchy and the secularization of ecclesiastical possessions. The moderates were known as the Utraquists (Latin utraque—"both"), because they emphasized the second article above. Because they held that the laity were to receive the sacramental wine and its chalice, they were also called the Calixtines (Latin calix—chalice), and the chalice became their emblem. The radical Hussites had various gathering-places throughout the country and took both a more violent and more theologically extreme attitude. Their first armed assault fell on the small town of Ústí, on the river Luznice, south of Prague (today's Sezimovo Ústí). However, as this location did not prove to be defensible, they settled on a hill not far away and founded a new town, which they named Tabor after the biblical mountain of the same name. They were, thus, called Taborites. Their aim was to destroy the enemies of the law of God and to defend his kingdom, which they expected to come in a short time, by the sword. The radicals held that the Bible is the sole rule and canon for human society, not only in the church, but also in political and civil matters. As early as 1416, they rejected any tradition that they believed had no basis in the Bible, such as the veneration of saints and images, fasts, certain holidays, oaths, intercession for the dead, verbal Confession, indulgences, and the sacraments of Confirmation and the Anointing of the Sick. They admitted laymen and women to the preacher's office and chose their own priests rather than relying on the appointments of bishops. Above all they promoted Wyclif's doctrine of the Lord's Supper, denying transubstantiation, and this is the principal point by which they are distinguished from the moderate party. In the beginning they observed a strict regime, inflicting the severest punishment not only for murder but also for adultery, perjury, and usury. The Taborites were supported by the Orebites (later called Orphans), an eastern Bohemian sect of the Hussites based in Hradec Králové. 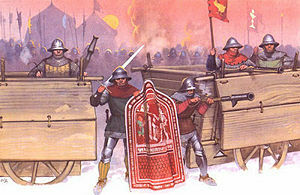 Hussite forces clash with those of King Sigismund during the Hussite wars. The news of the death of King Wenceslaus in 1419 produced a great commotion among the people of Prague. A revolution swept over the country: churches and monasteries were destroyed, and church property was seized by the Hussite nobility. Sigismund could thus gain possession of his kingdom only by force of arms. Pope Martin V called upon all Christians of the West to take up arms against the Hussites, and there followed 12 years of bloody struggle, known as the Hussite Wars. The Hussites initially campaigned defensively, but after 1427, they assumed the offensive. Apart from their religious aims, they fought for the national interests of the Czechs. The moderate and radical parties were united in this effort, and they not only repelled the attacks of the army of anti-Hussite crusaders, but crossed the borders into neighboring countries. One of their opponents was none other than Joan of Arc. On March 23, 1430, she dictated a letter that threatened to lead a crusading army against the Hussites unless they returned to the Catholic faith, but her capture by English and Burgundian troops two months later would keep her from carrying out this threat. Eventually, the opponents of the Hussites found themselves forced to consider terms of peace. They invited a Bohemian embassy to appear at the Council of Basel. 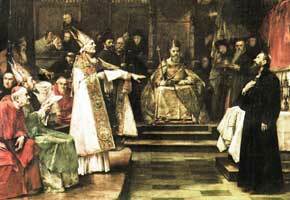 The discussions began on January 10, 1432, centering chiefly on the four articles of Prague. No agreement emerged at first but after repeated negotiations, a Bohemian-Moravian state assembly in Prague accepted the Compacta of Prague on November 30, 1433. The agreement granted the concession of communion in both kinds to all who desired it. Free preaching was granted only conditionally: The Church hierarchy had to approve and place priests, and the power of the bishop must be considered. The article which prohibited the secular power of the clergy was rejected. The Taborites refused to conform to this agreement, but the Calixtines united with the Catholics and destroyed the Taborites at the Battle of Lipany on May 30, 1434. From that time forward, the Taborites lost ground, though the independent Hussite movement would continue in Poland for another five years, until royalist forces defeated the Polish Hussites at the Battle of Grotniki. The state assembly of Jihlava in 1436 confirmed the Compacta and gave the decrees the sanction of law. This effectively accomplished the reconciliation of Bohemia with Rome and the Western Church, and at last Sigismund obtained possession of the Bohemian crown. His reactionary measures soon caused a ferment throughout country, but he died in 1437. The state assembly in Prague rejected Wyclif's doctrine of the Lord's Supper as heresy in 1444. Most of the remaining Taborites now went over to the party of the Utraquists and reconciled with Catholicism. The rest joined the "Brothers of the Law of Christ," the Bohemian Brethren, and the Moravian Church). The Utraquists had retained hardly anything of the doctrines of Hus except communion in both kinds, and this, too, would soon be rescinded. In 1462, Pope Pius II declared the Compacta null and void and prohibited communion in both kinds. He determined to acknowledge the monarchy of the Utraquist King George of Podebrady only if he would promise an unconditional harmony with the Roman Church. This he refused, but after his death in 1471, King Vladislaus II of Bohemia proceeded against the more zealous clergy of the Utraquists. In 1485, at the Diet of Kutná Hora, an agreement was made between the Roman Catholics and Utraquists which lasted for 31 years. Martin Luther's appearance in 1517 was hailed by the Utraquist clergy, and Luther himself was astonished to find so many points of agreement between the doctrines of Hus and his own. But not all Utraquists approved of the German Reformation. A schism thus arose among them, and many returned to the Roman doctrine, while other elements had joined the independent Hussite sect known as Unitas Fratrum (Unity or the Brethren) already in 1457. Under Emperor Maximilian II, the Bohemian state assembly established the Confessio Bohemica, upon which Lutherans, Reformed, and Bohemian Brethren (Hussites) agreed. From that time forward Hussitism as a distinct movement began to die out. After the Battle of White Mountain on November 8, 1620, the Roman Catholic faith was re-established in Bohemia and Moravia, fundamentally changing the religious conditions in the area. Leaders and members of Hussite Unitas Fratrum were now forced to choose either to leave the many and varied southeastern principalities of the Holy Roman Empire (mainly Austria, Hungary, Bohemia, Moravia, and parts of Germany and its many states, or to practice their beliefs secretly. As a result, members were forced underground and dispersed across northwestern Europe. The largest remaining communities of the Hussite Brethren were located in Lissa in Poland, which had historically strong ties with the Czechs, and in small, isolated groups in Moravia. 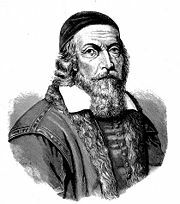 Some, among them Jan Amos Comenius, fled to western Europe, mainly the Low Countries (The Netherlands). A settlement of Hussites in Herrnhut, Germany, in 1727 caused the emergence of the Moravian Church. The modern Unitas Fratrum or Moravian Church, with about 825,000 members worldwide, continues to draw on traditions established during the eighteenth century. The Moravians continue their long tradition of missionary work, for example in the Caribbean. This is reflected in their broad global distribution. The Moravians in Germany, whose central settlement remains at Herrnhut, are highly active in education and social work. The American Moravian Church sponsors the Moravian College and Seminary. The largest concentration of Moravians today is in Tanzania. The motto of the Moravian church is: "In essentials, unity; in nonessentials, liberty; and in all things, love"
The more recently organized Czechoslovak Hussite Church claims to be the modern successor of the Hussite tradition. 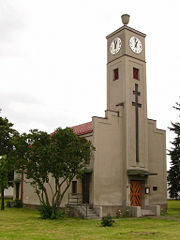 It separated from the Roman Catholic Church after World War I in former Czechoslovakia. It traces its tradition back to the Hussite reformers and acknowledges Jan Hus as its predecessor. Membership is estimated at between 100,000 and 180,000 adherents, mostly in the Czech Republic and some in Slovakia. There are 307 congregations divided into five dioceses situated in Prague, Pilsen, Hradec Králové, Brno, and Olomouc. There are approximately 266 priests in active ministry, of whom 130 are women. Candidates of ministry are prepared at the Hussite Faculty of Theology at Charles University in Prague. Fudge, Thomas A. The Magnificent Ride: The First Reformation in Hussite Bohemia. St. Andrews studies in Reformation history. Aldershot, Hants: Ashgate, 1998. ISBN 9781859283721. Housley, Norman. 2002. Religious Warfare in Europe, 1400-1536. Oxford: Oxford University Press. ISBN 9780198208112. Kaminsky, Howard. 2004. A History of the Hussite Revolution. Eugene, OR: Wipf & Stock Publishers. ISBN 9781592446315. Přenosil, Jiří. 2002. The Czech Contribution to Peace and War in Europe: From the Hussite Wars to NATO Membership. Prague: Evropský Literární Klub.ISBN 9788086316390. Turnbull, Stephen R., and Angus McBride. 2004. The Hussite Wars, 1419-36. Oxford: Osprey. ISBN 9781841766652. This article includes content derived from the Schaff-Herzog Encyclopedia of Religious Knowledge, 1914, which is in the public domain. All links retrieved January 20, 2018. This page was last modified on 20 January 2018, at 16:42.